Apprising Ministries has been warning you about the judgments coming upon the church visible now that mainstream evangelicalism has embraced the sinfully ecumenical neo-liberal cult of the Emergent Church aka the Emerging Church. I’ve also told you that EC progressive/liberal theologians such as Dr. Philip Clayton of the Transforming Theology network and Tony Jones, heretical “theologian in residence” at the church of his equally heretical quasi-universalist pastor Doug Pagitt, are busy “doing theology.” This is their term for bantering ideas back and forth—that may or may not have anything to do with the Bible—as they continue cobbling together their new postmodern version of Progressive Christian theology, which they often refer to as “big tent” Emergence Christianity. In fact, the term big tent itself really concerns the universalism forming the rotten core of this pseudo-Christian neo-liberalism—a Liberalism 2.0—now being spread by an upgraded Emerging Church 2.0 throughout the very heart of apostitizing evangelicalism. At this point it’s important to remind you again that we are not just talking here about a universalism teaching men will be saved regardless of their religious convictions. Rather, what’s under discussion is a Christian Universalism (CU), which does generally see Jesus Christ as the only way that all men will eventually be saved. There are various views but this CU is based upon a universal atonement of Christ on the Cross—an at-one-ment—similar to that of the New Spirituality and Metaphysical Mind Science cults, which sounds a lot like the Love Wins mythology of Rob Bell, the Elvis-like rock star pastor of the EC rebellion against the authority of the Bible. 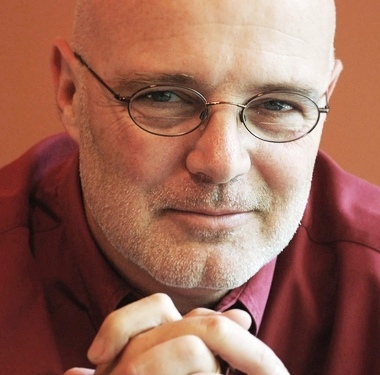 Last year in Brian McLaren And His New Emerging Progressive Theology I explained that this postmodern neo-liberalism aka Emergence Christianity is precisely what Living Spiritual Teacher and leading Emergent Church guru Brian McLaren began laying out for you in his book A New Kind of Christianity. As I pointed out in Brian McLaren Takes On Al Mohler Over Rob Bell men like McLaren and the Emerging Church icon Rob Bell are mystics—neo-Gnostics—who are deeply involved with the practice of corrupt Contemplative Spirituality/Mysticism (CSM) and the crown jewel of this spurious CSM, which is a form of meditation in an altered state of consciousness known as Contemplative/Centering Prayer. As such, they are now just as off spiritually as the original Gnostics who were being roundly rebuked by the authors of the New Testament. I recently told you in Spiritual Blindness And Famine In The Land that there appears to be very rough spiritual waters ahead as spiritual blindness and famine in the land for the Word of God are showing signs of rapid increase; and without the anchor of sola Scriptura, the church visible needs to prepare herself for “dueling revelations.” Unfortunately, what’s going to be happening in increasing numbers within largely pretending to be Protestant evangelicalism will be people running to and fro definitively declaring that “God told me personally” thus and so. If you think things are confusing right now in the church world, as the old saying goes, you ain’t seen nothing yet. It bears repeating that this kind of messed up mysticism festered within the antibiblical monastic traditions of apostate Roman Catholicism and would ﻿﻿eventually lead to the Reformation and Rome anathematizing the Gospel itself. Anyone who seriously thinks God is pleased with this CSM becoming pandemic within the evangelical community, which supposedly derives from the Protestant Reformation, seriously needs to have their spiritual heads examined; and pronto! 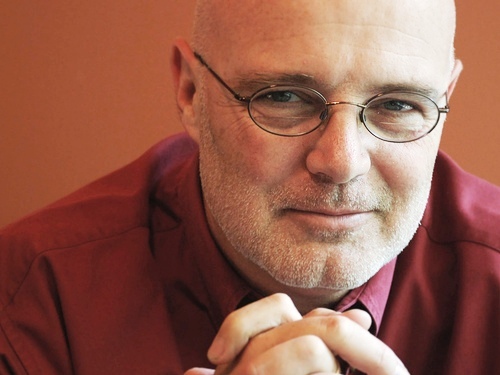 Returning now to the mythology of Brian McLaren, in his piece Neufeld informs us that the “newest book” by guru McLaren—and that’s exactly what he’s become—Naked Spirituality, is also “about encountering God” in a personal way outside of Scripture in similar fashion to Hbels and Warren. This shouldn’t surprise you when you consider that the Purpose Driven/Seeker Driven sector, and well as the Emerging Church movement, are simply two sides of the same Church Growth Movement coin. The EC had CSM at its rotten core with “key mentors” being Living Spiritual Teacher and Quaker mystic Richard Foster and his spiritual twin Dallas Willard; who at last check is with the Southern Baptist Convention. If you didn’t know, CMU is Canadian Mennonite University, which guru McLaren infected February 3-5. Sadly, “almost tripling” attendance and his mystic mythology “certainly [being] welcome news to many” is a testimony to the truth of 2 Timothy 4:3-4, not something to be celebrated. And the reason why guru McLaren’s empty “ideas have been causing ripples of controversy among evangelical Christians” is because their leaders lack the spiritual guts to tell evangelicals that Brian McLaren is no more evangelical than the Dalai Lama; whose spirituality McLaren is much closer to than he is someone like Al Mohler. I’ll tell you what Brian McLaren is, he is a non-Christian cult leader; not an evangelical Christian. As I pointed out above, McLaren preaches the same poisonous mythology as the other two-thirds of the EC unholy trinity, Doug Pagitt and his friend Tony Jones. Well, as one who is a critic loyal to my Lord and Master Jesus Christ, here I’ll walk you through McLaren’s mystic-speak again. These so-called “specific sticking points” would be the cardinal doctrines of the Christian faith; the ones actually creating “problems” are the neo-Gnostics like McLaren and his “Christian” brother Living Spiritual Teacher and Progessive Christian scholar Marcus Borg, who are denying them. As far as these cardinal doctrines pastor-teachers like me are commanded by God “to defend” supposedly “keeping others away from the faith,” the truth is it keeps unbelievers like Borg from passing themslves off as Christians within the Christian community. However, for dreamers like McLaren and Rob Bell, everyone’s in the big tent so we end up with the oxymoron of Marcus Borg And Christians Who Don’t Believe In Jesus. But such as these cannot do away with the historic orthodox Christian faith. “To those people I say: How do you define Christian?” said McLaren. “If you can’t be a Christian unless you believe world is 6,000 years old and was created in seven literal days and anyone who hasn’t said a certain prayer will experience eternal conscious torment and literal flames of hell forever, well then by that definition they’re speaking the truth. By that definition I don’t fit. Because a spiritual life with God, McLaren says, isn’t just about what you believe. McLaren is a master in framing his statements as straw men; while I personally hold to a young earth and creation in 6 literal 24 hour days, it simply isn’t a litmus test for the Christian. We’re not saying “a certain prayer” guarantees one “fire insurance” so you have no responsibilites in this life. What we are saying is wrapped up in guru McLaren et al’s definition of a Christian being “someone who is sincerely seeking to follow Christ.” My question is which one? As you’ll see in Will The Real Jesus Please Stand Up?, there are all kinds of Christs running around the religious landscape. In closing this, for now, the guru is said to have conjured up a final straw man when he is reputed to have mused that a spiritual life with God isn’t just about what you believe. Again, no one credible has ever been teaching that a spiritual life with the Lord is just about, as in only about, what a person believes. In other words, those who are not in Christ, have no spiritual life with God (cf. Romans 8:5-11). So the question then becomes: How can one begin a spiritual life with the Creator? No less an authority than Jesus Himself tells us that we must be born again (cf. John 3:3-7); and this most certainly does involve what you believe, as Christ Jesus says — “I told you that you would die in your sins, for unless you believe that I am he you will die in your sins” (cf. John 8:24). The fact is, what a person believes is critical — But to all who did receive him, who believed in his name, he gave the right to become children of God (John 1:12). Simple logic will tell you that if you need the right to become something, then you were not that thing before; in this case a child of God. Any Christian worth listening to loves the cross and is loath to see it robbed of its glory. To ridicule what the cross accomplished is to make war with the heart of the gospel and the comfort of God’s people. They [liberal preachers] speak with disgust of those who believe ‘that the blood of our Lord, shed in a substitutionary death, placates an alienated Deity and makes possible welcome for the returning sinner.’ Against the doctrine of the Cross they use every weapon of caricature and vilification. Thus they pour out their scorn upon a thing so holy and so precious that in the presence of it the Christian heart melts in gratitude too deep for words. No doubt, some Christians get worked up over the smallest controversies, making a forest fire out of a Yankee Candle. But there is an opposite danger–and that is to be so calm, so middle-of-the-road, so above-the-fray that you no longer feel the danger of false doctrine.